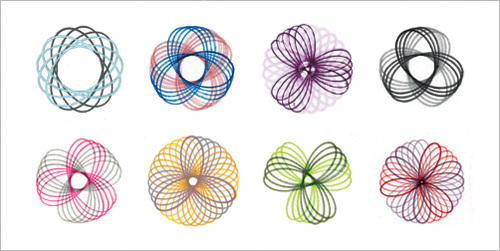 ﻿﻿﻿We re-discovered our Spirograph this week. After many false starts, I completed my bi-annual day-long process of completely-cleared-off-floor stripping and waxing. We lived without a kitchen table for 3 days (gasp!) 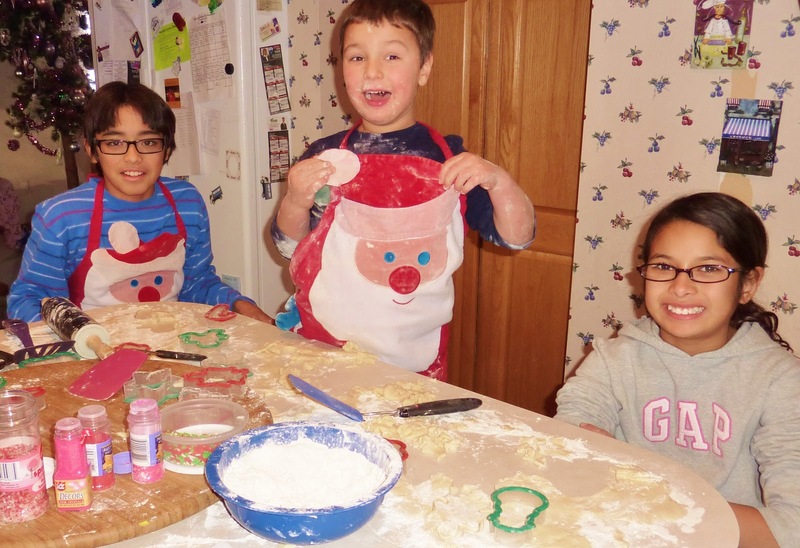 because the kids had two snow days....we decided to make Christmas cookies on the 1st snow day: why not get the messy job done BEFORE cleaning the floors? Then day two I caught a really nasty cold which had me icky, achy and crabby. About 3 pm I decided to bite the bullet and got to it. I couldn't rest and recuperate when we were all living in chaos and flux. It's amazing how much we rely on our kitchen table. It truly is the heart of our home. With G, it's better to let him discover something himself than to suggest it - everything has to be his idea. So I coyly put out the Spirograph on the table while going about my organizing project. Sure enough, within seconds, G said, "Oooh, I want to do that!" Another organizing job deferred in the name of creativity. lol. I discovered that the Spirograph is an excellent therapy tool for developing fine motor skills. G's school-provided OT is ineffective, so I try to find opportunities to work on his rough fine motor skills at home. G resists holding the pencil correctly; writing or coloring is rare for him. 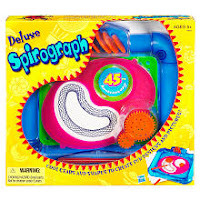 The Spirograph motivated him to draw because it was a gadget, a novelty, and instantly produced cool results! 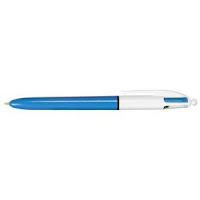 Best, since the pencil/pen point has to poke through the hole to make an image on the paper, he had to hold the pencil firmly and push down with force. While his first images aren't the lovely intricate samples shown below, his work is festive and amazingly beautiful to me because it required so much concentration, focus and fine motor control. We've got another fun tool in our toolbox. Great re-find! 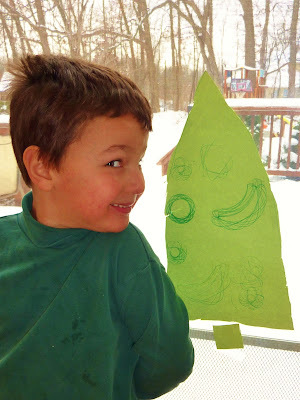 Our snowy week was filled with great sensory experiences. The kids went sledding, and G ate lots of snow. 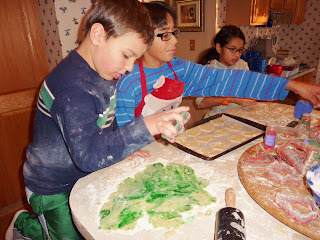 Then we all ate cookie dough...I have a great sugar cookie recipe that doesn't have eggs*, so totally safe to nibble! 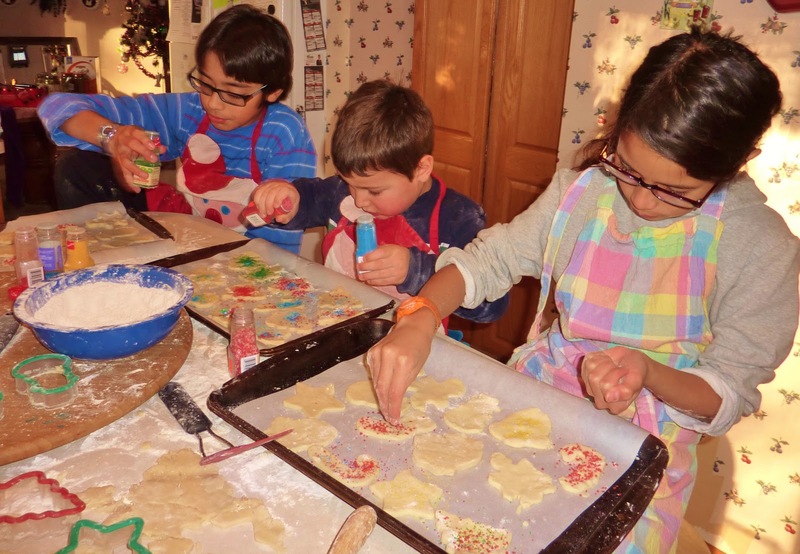 The cookie-making process is very tactile, heavy work: measuring, pouring, mixing, rolling, cutting - and of course delightfully creative and yummy. Guess who did the best job with cookie cutters? G! Must be the wealth of playdough experience he brought to the table. and Neatnik N's immaculate shirt. G got his "into it" creative mess gene from moi. 175 cookies = big mess! Easy-cheesy, 6 ingredients, yummy and safe to eat raw...because really, who doesn't love cookie dough? I make these every year and get lots of compliments. To make tie-dye marblized cookies, add a few drops of food coloring(s) to a dough ball and squish it around before rolling it out. You can also mix food color in completely to make solid color dough. 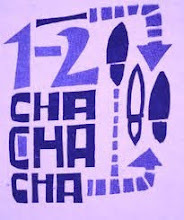 Try it - get your groovy on! 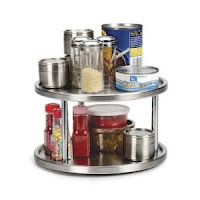 One last tip: We use our lazy susan daily at the kitchen table. But it's also particularly handy when doing crafts or making cookies. Just clean it well (I'm a bleach freak), and you're good to go! Ok, don't get me started...I also use lazy susans in my cabinets to organize spice jars, canned goods, etc. 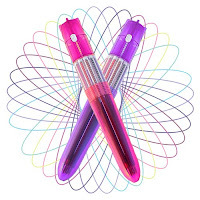 They make searching much less frustrating, and yup - FUN! Nice blog! Perhaps you could moderate comments so no one writes something you deem inappropriate. It really helped me when my blog started getting comments which linked to bad websites. God bless and Merry Christmas! Than nhẹ một tiếng, Vương Lâm xoay người đi về phía những khối ngọc giản kia, cầm lên từng cái, dùng thần thức tham nhập. Cuối cùng, ở trên một khối ngọc giản trong đó, bước chân hắn dừng lại. Một từ phế nhân chính là nói lão phu. Không thể lấy thần thức khống chế kiếm thì không thể dùng kiếm chiến đấu, thẹn với ân sư. Sau tám mươi tuổi, lão phu chợt có một giấc mộng. Trong mộng ta là một kiếm hồn, quét ngang thiên địa cửu châu, xem như kiếm trung tôn sư. Thanks - did you find an inappropriate comment? Please alert me!